being little • bristol uk fashion & lifestyle blog. 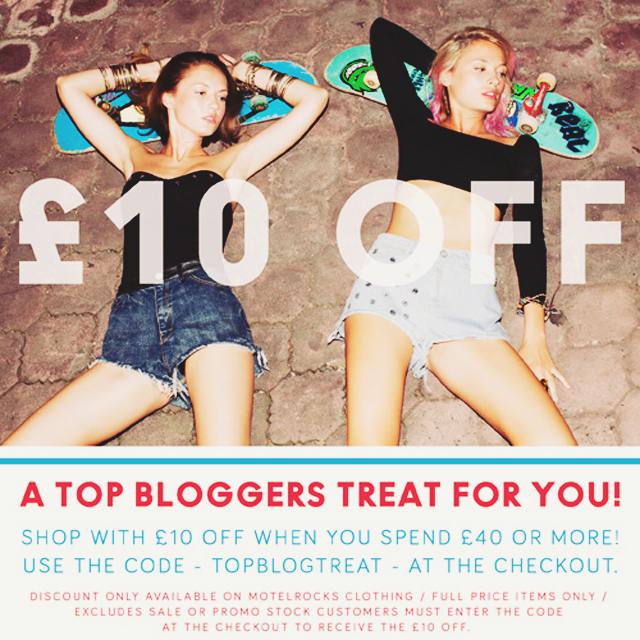 : £10 off at Motel Rocks! The lovely humans at Motel Rocks are giving you equally lovely humans a sweet tenner off their clothes! They have some amazing things in their new collection too. I know it's months away, but I can imagine wearing the Annali dress (below) at a Christmas party, with a snuggly cardi! Also, while we're at it, make sure you've liked them on Facebook, because when they reach 50,000 fans they're going to be giving away loads of vouchers, AND they're going to have the biggest flash discount sale they've ever done!